Home BOLLYWOOD The Angry Indian Goddesses Are Back! 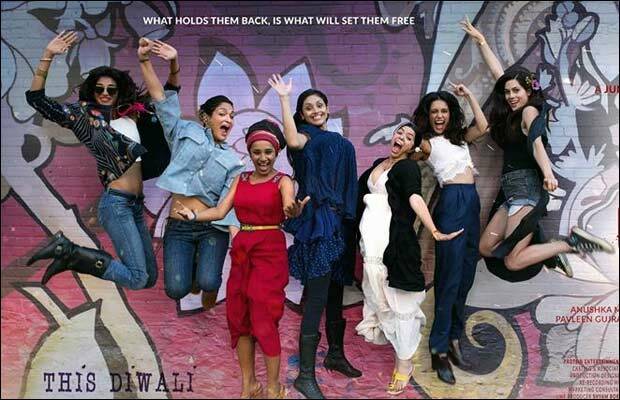 The Angry Indian Goddesses Are Back! angry [tps_footer]Angry Indian Goddesses, the most talked-about Indian independent film of 2015, and one of the first Indian films to have a wide international release in over 67 countries, is now set to make a comeback in India this time on a new innovative platform – TVF Play and will be available to audiences across India. This digital launch will precede the film’s satellite release. After a successful theatrical release in December 2015, plus numerous awards including Audience awards at Toronto International Film Festival and Rome Film Festival, social media has been abuzz with ‘young audiences’ demand to access India’s first ever female buddy film starring a magnificent cast including Sarah Jane Dias, Anushka Manchanda, Tannishtha Chaterjee, Sandhya Mridul, Amrit Maghera, Pavleen Gujral and Rajshri Deshpande and is directed by the acclaimed Pan Nalin. Internationally, Angry Indian Goddesses is set to release across Europe in May-June 2016 & in USA & Canada in July 2016 while the Middle East & South America release is slated in late 2016, making AIG the most widely theatrically distributed Independent film from India in recent times. AIG is to be released in a manner where the audience gets access to the film right after the theatrical release, on their computers/phones/notebooks for a week to watch it anytime, anywhere as many number of times during 7 days for a one-time fee. Previous articleAamir Khan’s Ancestral Home Is Now A Gamblers Den!